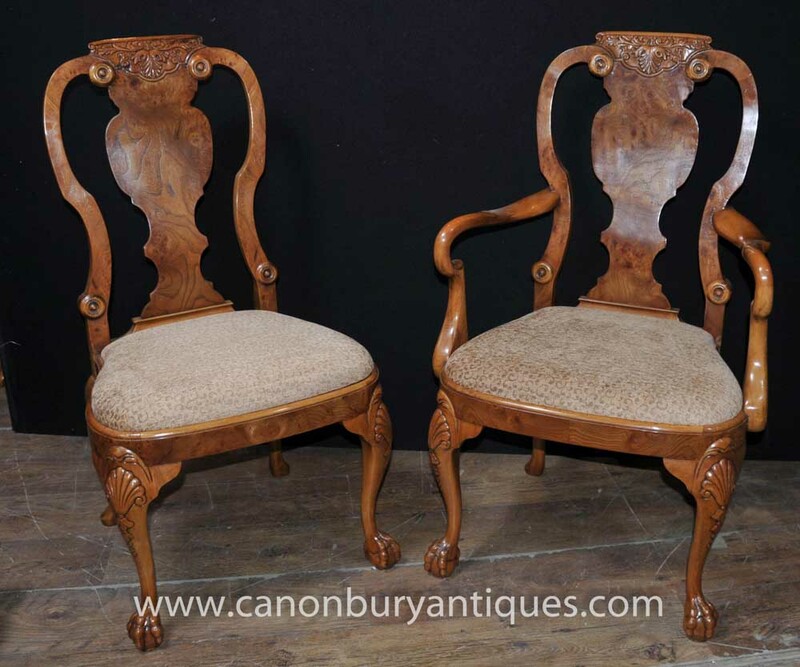 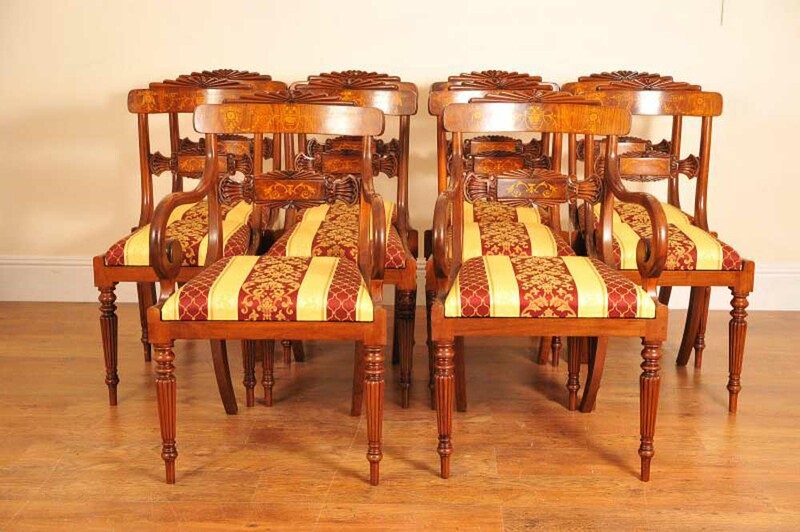 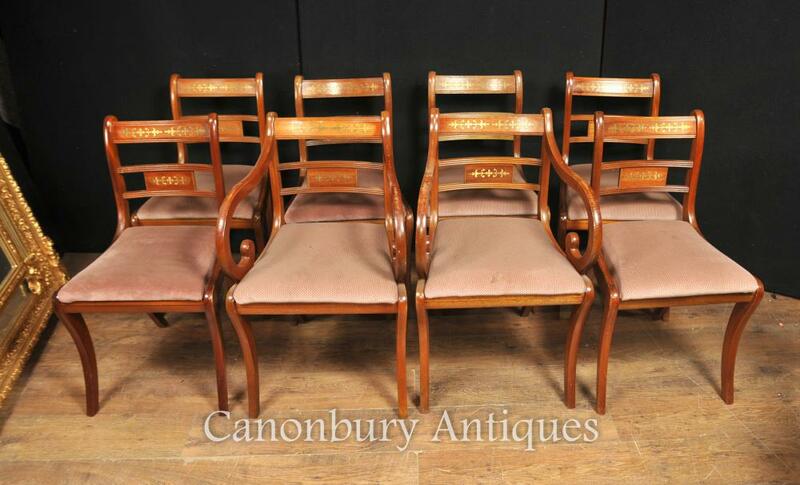 You are viewing an absoloutely fantastic set of 8 English Regency style dining chairs hand crafted from walnut with intricate marquetry work to the back splat. 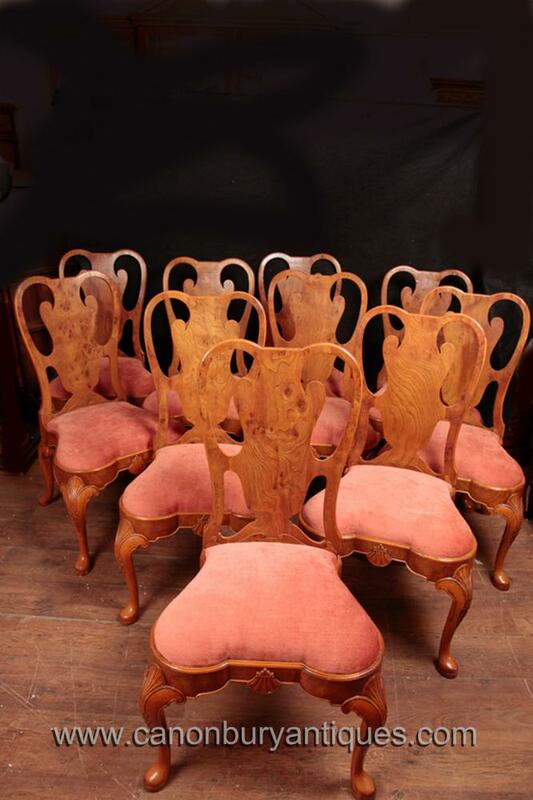 The set consists of two arm chairs and six side chairs. 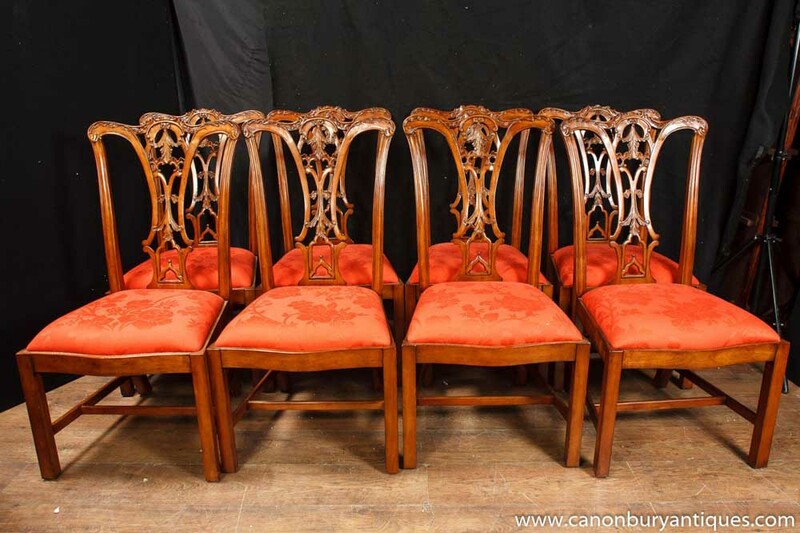 This set really is the ultimate in dining chairs and I hope the photos adequately convey their quality and crafting.